Boxoft Photo Cool Maker is a easy-to-use image editing software, With Boxoft Photo Cool Maker, you can easily create, edit, enhance, print, and manipulate your images; Your can easily blend your digital photo onto another image (a beautiful landscape image etc) to create special effect. It makes your photo interesting and pretty.What can Boxoft Photo Collage Builder do?Boxoft Photo Cool Maker can combine your favorite photos into an artistic compilation. 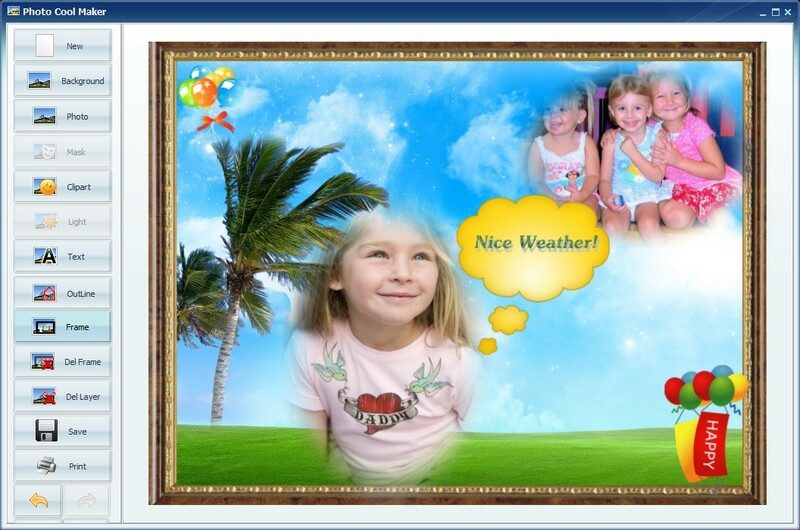 Boxoft Photo Cool Maker, you can quickly and easily make beautiful photo collages complete with resources such as layouts, templates, photo frames, special mask effects, rich cliparts and word arts. The created collages can be saved, printed, directly sent via E-mail and even saved as wallpapers. What's more, you can also DIYyour calendar, create personalized greeting card, invitation card, poster and other things you can imagination of with Boxoft Photo Cool Maker!